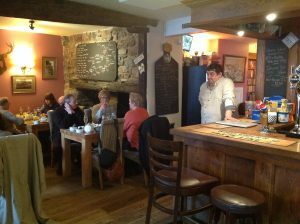 As part of the Exmoor Food and Drink Festival, we provided the sparkling wine for a breakfast that the excellent Swan in Bampton organised last month. This photograph shows Paul supervising proceedings in reflective mood. You can also listen to a radio interview we gave after the event, which provides a general introduction to what we do here.